National environment group Friends of the Earth says the highly-anticipated meeting of the COAG Energy Council has missed an opportunity to deliver a plan for rolling out renewable energy. This afternoon’s statement comes after over 100 community members gathered in Canberra to call on state and federal ministers to stand up for renewables and show resolve amidst unprecedented bullying from the fossil fuel sector. 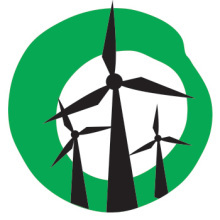 “The COAG Energy Council has been a let down for communities who want a transition to from polluting fossil fuels to 100-percent renewable energy,” said Leigh Ewbank, Friends of the Earth renewable energy spokesperson. In recent weeks, a coordinated campaign from fossil fuel lobbyists and boosters in the media has blamed renewable energy for recent power price spikes in South Australia, our proud national leader in renewable energy. “The fossil fuel lobby’s attempt to damage the reputation of renewables and set the COAG energy council’s agenda has backfired,” said Ewbank. Victorian Lock the Gate campaigners welcomed the Victorian government’s stance on gas policy, which demonstrates Ministers Wade Noonan and Lily D’Ambrosio are acutely aware of the community concern about risky onshore gasfields. “Hundreds of rural communities and their city supporters across the state are extremely relieved to learn that the Victorian Energy and Resources Ministers are holding strong,” said Lock the Gate Victorian Coordinator Ursula Alquier. “A ban on onshore gas is the only way to do this and it’s a good sign that our state representatives are not buying the gas shortage lie and instead are thinking about Victoria’s clean, green, renewable future that will benefit us all,” added Alquier. Next Next post: ACT Libs back 100% renewables target: Will Matthew Guy lead by supporting VRET?